When invited to name their pet hates on the BBC programme Room 101, most famous guests resort to the predictable: caravans, music in pubs, Lynda Lee-Potter. It need hardly be said that when Spike Milligan had his turn in 1999, he took a less conventional approach. Among the items he wanted banished to oblivion was his own home. Holding up a photograph of the offending building, "Carpenters", a five-bedroom 1960s house near Rye in East Sussex, he told the world: "It's bloody awful. When I saw a photograph, I said to the estate agent, 'It looks as if it's made from white stone.' He said, 'Yes, it is.' But it isn't. It's built from concrete blocks. It's all blank, blank, blank. That's why I hate it: because I own it." Asked by the show's presenter, Paul Merton, if there was something he could do to improve his home, Milligan added thoughtfully: "You could set fire to it." The studio audience laughed heartily. But the joke has come back to haunt Milligan's widow, Shelagh. "It was the kind of thing he said," she says. "Actually, he grew very fond of the house. But when he said what he did on Room 101 people believed him. And now I've got to sell it." Whether he meant it or not, Milligan, who died two years ago aged 83, felt strongly enough about the look of his home to give it an alternative name, "The Blind Architect", which still appears on a nameplate by the front door. The house's creator, C. P. McLaughlan, could have little imagined the slight that would be made against his name when, in 1968, he proudly had it carved into an adjoining stone, identifying himself as the architect. It would be nice to know what Mr McLaughlan thought of the joke, but unfortunately the Royal Institute of British Architects has no records of him. "I didn't want to go north of London because it would take me further away from my family. Spike didn't want to go west because of the aircraft noise. We both looked at each other and said, 'We're not going east.' And so that left the south. We settled on East Sussex because Spike had been posted to Bexhill in the war. He had been brought up in India, so it was the first bit of countryside he knew. He had got to know the Rye area in particular because the producer of The Goon Show, Peter Eton, lived at Winchelsea and Spike would go down for the weekend." That still doesn't explain, though, what possessed Milligan to buy a house he would later denounce as the "ugliest house in the world". "Spike didn't say much when we came to look around," says Shelagh. "But he had always suffered from noise and his biggest concern was the seclusion and quiet. The rest didn't really come into the equation." The chief selling point of Carpenters is the 180-degree views, from the cliffs above Hastings to the shingle spit that is Dungeness. Winchelsea appears almost like a Tuscan hill town, albeit surrounded by the sheep-flecked pastures and reed beds of Romney Marsh. You can be as kind as you like about its plain 1960s façade, but the view of the landscape from Carpenters will always be superior to that of the house from the landscape. "The views are a great time-waster," says Shelagh. "Spike would often ring me on the internal phone to tell me he had just spotted some bird or other. It is a bit different from some of the houses I have looked at in Hastings, where agents love using the term 'sea glimpse'." No matter its lack of period charm, Carpenters is certainly well-built. Shortly before the Milligans moved in, the house was exposed to the full force of the great storm of October 16, 1987. Winchelsea lost its post mill, and the owner of one nearby house woke up to find that a sheep had been blown onto his balcony. But at Carpenters there was not a tile out of place. The house also won the approval of the chef Robert Carrier. "A few years ago he made a series of programmes where he went around people's houses cooking vegetarian recipes," says Shelagh. "He cooked an onion tart in our kitchen, and called it the best working kitchen he'd ever seen." Carpenters still contains typical Milligan gags, as well as his awards and a gold cassette presented to him after sales of the collected Goon Show sketches passed 10,000. In the downstairs loo is a framed banknote from pre-revolutionary Russia. "In case of Restoration of Russian Monarchy Break Glass," reads a note beneath. A picture frame in the kitchen reads "vegetarian - someone who is nice to meat", while the mantelpiece bears the slogan: "No smoking: we are trying to give up lung cancer". It is a notice Shelagh ignores as she lights up. With Duran Duran thumping through the kitchen, she pays as little regard to her late husband's long campaign against Muzak, commemorated in an award in the hall from the "Right to Peace and Quiet Campaign". Milligan exempted the Beatles from his campaign, with good reason: Paul McCartney, who lives just down the road at Peasmarsh, was a frequent visitor to the house. "One morning in the mid 1990s we were lying in bed having had a late night," says Shelagh. "There was loud knocking on the door, which we ignored at first. When it became more persistent I looked out of the window to see Paul, George and Ringo in the driveway. They were on their way to Paul's house to record Free as a Bird, and were so excited about being back together that they wanted to come down and see Spike." Emma Thompson and Harry Secombe were frequent visitors, too. Less welcome were the sightseers. "Spike rarely answered the door and would often go and hide when the doorbell rang," says Shelagh. "People would come and ask for books to be signed, which usually he was happy to do, but sometimes they just picked the wrong time. I couldn't tell you the worst method he used to get rid of unwanted guests because it is quite rude. Fortunately, Rye people can be very protective of their famous residents and would often just say, 'I've no idea,' when outsiders asked where Spike lived." Despite disliking the house, Milligan never did much to alter it. "We toyed with painting the outside, but we never got round to it," says Shelagh. "I did buy a creeper to grow up the outside of the house, but 15 years later it was still only a few inches tall." What Milligan did do was to install a high-powered heater in the swimming pool, which allowed him to swim outdoors even on freezing days. "Once there was so much steam that the neighbours rang up to tell me the house was on fire," says Shelagh. After two years on her own, she has tired of the seclusion at Carpenters and wants to move to Hastings old town, to which end she has placed the property on the market with Phillips & Stubbs (01797 227338) for £800,000. Set in two acres, it has five bedrooms, three bathrooms, an all-weather tennis court and the pool, while the ground floor could accommodate a one-bedroom annexe. "Others may buy it purely for the view, the house being largely immaterial," says Martyn Stubbs. Some buyers might clad the house with wood, he says, though he adds there is a chance that Milligan may finally have his way: the house might be razed to the ground and redeveloped. Philip Larkin called his house at 105 Newland Park in Hull "an ugly little house". Neither did he much care for its position. "I wish I could say something nice about Hull," he once said. "Oh, yes, it's nice and flat for cycling." Larkin bought the house in 1974 and lived there until his death 11 years later. Artistically, however, he died the day he moved in. Most of his poetry was written in a small flat a mile away in Pearson Park, and he produced little after his move to Newland Park. In 2001, following the death of Larkin's friend Monica Jones, the house came up for sale for £165,000. In spite of lobbying by Larkin fans, the National Trust declined to buy it. Some would say the building has only grown uglier since, with the addition of stick-on pilasters. Before moving to the Old Vicarage in Grantchester, Lord and Lady Archer lived in more modest accommodation in the Cambridge suburb of Newnham. When the property was threatened with demolition 10 years ago, Lady Archer showed little emotion, saying the house was "quite modern, really". At the height of his footballing career in 1970, George Best spent £30,000 building himself a modernist house at Bramhall in Cheshire, complete with plunge pool and all manner of technological wizardry. Unfortunately, it didn't work: on one occasion the electronically operated curtains opened by themselves to expose Best naked to passers-by. "The controls were all well and good," said Best, "until I discovered that when an aeroplane went overhead it set off the whole system. It was like a madhouse." Best quickly fled the property, returning to live with his landlady. 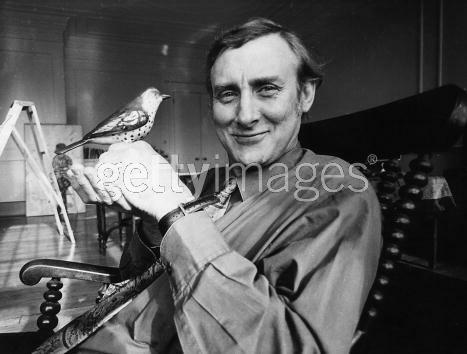 Spike Milligan wasn't alone in hating his house, according to Max Kay, of the developer Property Office in Manchester (0800 783 4054). Every so often the company places an advert in the local press carrying the words: "Ugly houses bought for cash. Any area considered, top prices paid, seven-day completion, immediate decision." It is never short of replies. "Sometimes we clad the houses, sometimes we add porches and generally tidy up their appearance," says Kay. "One thing we find always helps is leaded windows - except, that is, where the house is Georgian." The marketing concept is inspired by HomeVestors, an American company that has traded under the slogan "We Buy Ugly Houses" for 20 years. It now has 170 franchises and says it will buy any house, however ugly, except mobile homes. The buyer gets a quick sale, but at 20 to 30 per cent less than the market value.